If we need any more proof of the disparities between campaign promises and economic realities, consider that automotive giant General Motors has announced a restructuring that includes laying off 15 percent of its salaried employees and 25 percent of its executive employees. That’s 14,700 more North American workers without jobs by 2019. Think back to when Donald Trump was campaigning in the Rust Belt states, promising job growth and bemoaning NAFTA’s impact on available American jobs. In 2016, many in the working family demographic voted for Trump because of his job creation focus. Buick. Cadillac. Chevrolet. These automotive names are iconic brands. The GM announcement shines a light on automobile production’s future. SUVs and pickup trucks are taking the place of the sedan styles GM once made popular. GM’s restructuring could save $6 billion by 2020. The company plans to allocate twice as many resources to electric and autonomous vehicles by 2020. Opposition to the layoffs runs across the political spectrum. U.S. Sen. Rob Portman (R-Ohio) condemned the move. Portman states: "I am deeply frustrated with General Motors' decision to shut down its Lordstown plant and disappointed with how the hardworking employees there have been treated throughout this process." And this decision isn’t just hitting Ohio hard. Five plants might be shut down by 2019: Ontario, Canada’s Oshawa Assembly; Detroit, Michigan’s Hamtramck Assembly; and plants in White Marsh, Maryland and Warren, Michigan. GM plans to "focus on electric and self-driving vehicles and prepares for a downturn in the auto market or a weakening on the U.S. economy." The company’s new motto? “Zero Crashes, Zero Emissions, Zero Congestion.” But, for some, Zero Jobs is all they see. Electric, self-driving vehicles sound all prosperous and futuristic. Why not take employees along for the ride? While we move to a cleaner energy economy, which centrally involves the automobile industry, it’s important to applaud efforts to update, get in step, or even ahead, of the times. GM says it is doing that, but this move alienates its own worker base. What the company is not doing right now is cementing its reputation as a reliable place for workers. GM workers and the unions that represent them have been quick to respond. Some workers at Canada’s Oshawa plant walked off the job Nov. 26. Canadian Prime Minister Justin Trudeau bemoaned the decision to shut down the plant, and vowed to help workers. Terry Dittes, vice president of the United Auto Workers, explains that the union will challenge the restructuring. He states: "GM’s production decisions, in light of employee concessions during the economic downturn and a taxpayer bailout from bankruptcy, puts profits before the working families of this country whose personal sacrifices stood with GM during those dark days." Although GM stock went up after the Nov. 26 announcement, it declined 3 percent when none other than President Trump himself opposed GM’s decision the next day. Trump stated he is considering cutting all GM subsidies, including for electric cars. The federal government has been offering tax credit incentives between $2,500 and $7,500 for electric vehicle purchases. 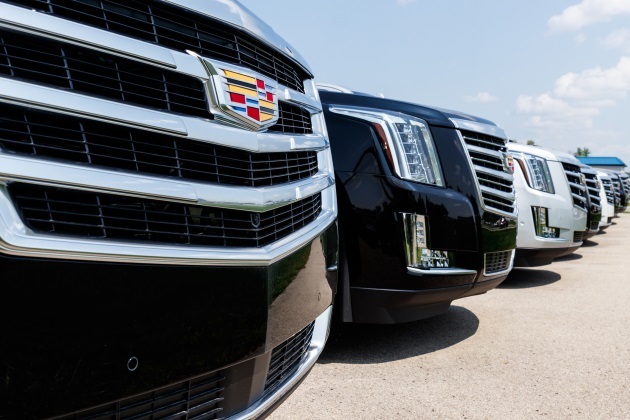 GM’s restructuring dramatizes President Trump’s conflict of interest between his big business agenda and the need to maintain his voter base for the 2020 election.